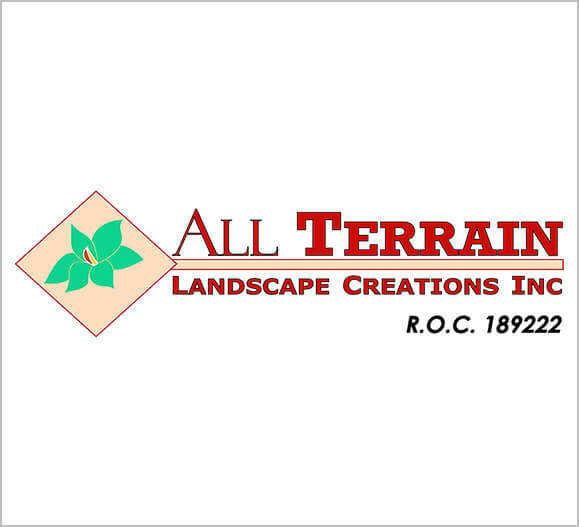 About All Terrain Landscape Creations Inc.
We are licensed, bonded, and insured servicing both residential and commercial clients. With our highly trained employees we always do the job right the first time. After the installation is complete, we conduct a thorough "walk thru" with the owner so you know what you have and how it operates. Long after the job is finished, we are still there to answer questions or provide any information you may need. This is just one aspect of our ongoing commitment to excellence by continuing to provide dependable service long after the last shovel is loaded. In "Creating Your Outdoor Living Spaces" we work with several local artists and material suppliers to create award winning, unique works of art suitable for your outdoor landscape. Utilizing our extensive knowledge of vegetation, careful consideration is taken in designing scenery that is aesthetically pleasing, and adds value to your property, at an affordable price. Being a member in good standing of the Arizona Landscape Contractors' Association makes us the best choice to bring to life your vision of the ultimate micro-climate. With a little care your landscape will continue to grow, providing an elegant space that you can enjoy for a lifetime. Check out our portfolio to see some of the amazing work we’ve done throughout the years. One notable experience we had at All Terrain Landscape Creations was when we had the chance to participate in a Fix It and Finish It episode. Check out how we built a $30,000 yard in 12 hours.